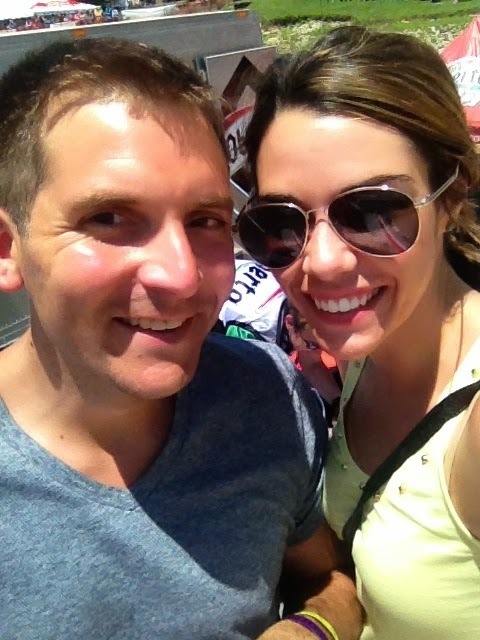 As we do every 4th of July, we headed to our hometown for the annual Madison Regatta. And just like every year, we came back exhausted but had a really great time. Unlike the past couple of years, the weather was perfect this weekend and we spent 90% of our time outside soaking it up. It was great to really unplug for awhile and just be with our friends. My bff Whitney and I showed up in town in the exact same outfit. And nail polish. All no surprise to anyone. On Saturday we hung out on the river bank and watched the boats qualify in the time trials. Later in the afternoon we were used our pit passes to go down into the pits to get up close and personal with the hydroplane boats. We all took turns sitting in the boat and, as cool as it was, I can not even imagine how they drive those things. Not to mention the windows are about 6" tall. I need a little more vision when I'm driving than that. Well that and the fact that they go about 150mph because they're powered by a jet engine. But other than that, I'm sure they are a piece of cake to drive! We decided we would stick to our day jobs. 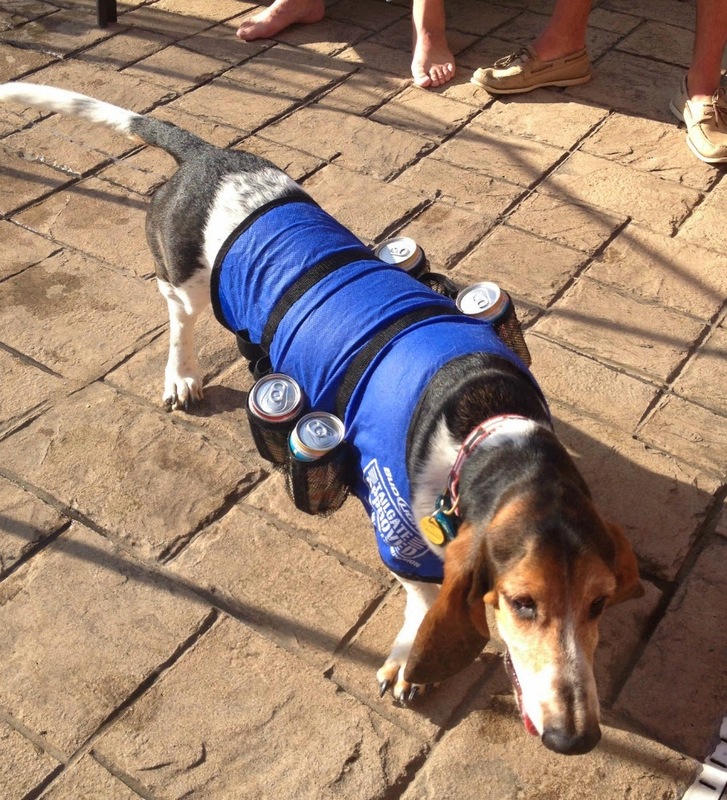 While at a cookout with our friends, Floyd took the reigns as the beer boy. He takes his job very seriously and wouldn't slow down for me to get a good picture. Regardless, it's funny every single time. Floyd as a beer boy is killing me right now. Too cute for words. hahahahahahaha Oh man, Floyd in that beer vest never ever ever gets old. LOL to Floyd! ;) And you look fabulous as always, Sarah! You looked great in your making outfits! Cute hair!! And Moxyn needs one of those beer things to carry around at our parties! Too funny! Floyd as the beer boy is cracking me up! So funny!! What a fun weekend! I love so many things about this post...the weather, your cute dress, and Floyd's job! :) Hooray for fun weekends! Love that first picture and of course Floyd always steals the show. Haha too funny. where did you find that vest??? that is so amazing! i must get one for kobe immediately!